Saturday Nights at 6:00 p.m. / Sunday Mornings at 9:00 a.m.
Our Vision Statement We are a loving, joy-filled family of believers gathered in celebration and praise around our Lord Jesus Christ. As Bible-based Christians, we seek to share God’s word of salvation and to live daily in His healing, hope and guidance. We are committed to reaching out to the whole community, as we embrace and nurture new brothers and sisters with our Savior’s own forgiveness and love. Looking for our latest Newsletter? Click here! Click on the above picture which is a link to the Daily Devotional by Our Daily Bread Ministries of Grand Rapids, MI. Looking for Daily Devotional Readings? You can find appropriate readings at sanctus.org. 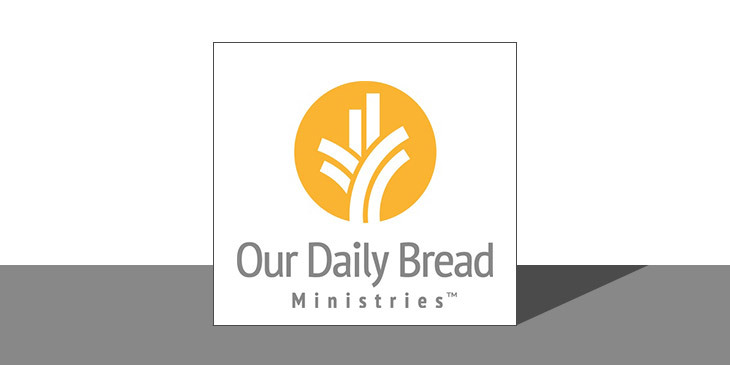 Concordia Publishing House has also created the Treasury of Daily Prayer, and the PrayNow app for Android and iOS users. For the Daily Bible Verse, click here! O give thanks unto the Lord, for He is good; His love endures forever! Cross of Christ is a congregation of the Mid-South District of the Lutheran Church — Missouri Synod. As Lutherans, we accept and teach Bible-based teachings of Martin Luther that inspired the reformation of the Christian Church in the 16th century. In Lutheran worship, we come before our risen Lord to receive His gifts through Word and Sacrament. Cross of Christ offers services on Saturday evenings and Sunday mornings year-round, and on other days during certain seasons of the church year.